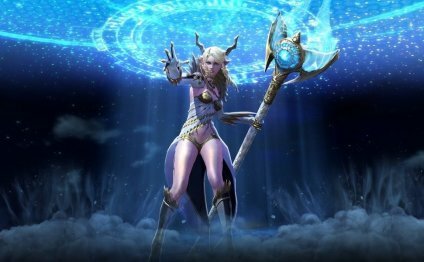 The latest highly anticipated, massively multiplayer online role-playing game emerging from Seoul is the fantasy epic, TERA Online: The Exiled Realm of Arborea. Developed by a team of 180 at Bluehole Studio, the game stands out from the crowded MMORPG space thanks to its use of Unreal Engine 3 technology as well as the creative force behind this original game. Bluehole Studio was formed in March 2007 by serial entrepreneur Byung-Gyu Chang and the producer, lead game designer, lead programmer and art director of NCsoft’s Lineage II, which also used Unreal Engine technology. Shin-hyoung Im, technical art director on the game, said his team utilized UE3’s Kismet and Matinee to create the game’s opening cinematics. The engine’s good modularization helped the team add features needed for first-person shooting without difficulties. Im added that UE3's well-formed development tools allowed the team to easily make additional resources. There were early challenges in developing TERA back in 2007. Lew said his studio was concerned about the level of productivity for developers guaranteed by the game engine. But Unreal Engine 3 had well-organized development tools that allowed them to produce resources at the early stage of game development. Ultimately, the team was able to get the most out of UE3 technology, thanks in part to the past experience of key members of the team, as well as help through the Unreal Development Network and later Epic Korea. TERA Online is set in the fantasy world of Arborea, which Harns Kim, associate producer of the game, said was influenced by traditional fantasy worlds found in The Lord of the Rings and other fantasy stories and games like Blizzard’s World of Warcraft, as well as ancient Greek and Roman mythology. While the story will propel the action forward in this new MMORPG, what Kim believes gamers will gravitate towards is the non-targeting gameplay. The melee combat in this PC game is similar to Xbox 360 and PlayStation 3 gameplay in that a character’s strike relies on range of attack. The long-range combat in TERA adds cross-hairs like first-person shooter games. "TERA’s highlight is its non-targeting battle mode, ” said Lew. “The player can directly attack enemies without having to select each enemy, which is totally different from other MMORPGs out there on the market. This awesome feature will greatly improve the sense of reality and excitement of the game." Lew added that the non-targeting battle system provides a more dynamic game experiences by using advanced hardware technology propelled by Unreal Engine 3. The team focused on this unique battle system because one of the core ideas driving this new game was to implement a console-inspired action gameplay style to the MMORPG genre. This feature alone separates TERA from anything else available today, including behemoths like World of Warcraft. In addition to having a console feel in-game, the thing that anyone who watches the trailers or boots up the gameplay of TERA will experience first-hand is the amazing visuals that Unreal Engine 3 brings to the title. Whether a player is battling a race like the baraka or high elf or, playing classes like sorceress or priest, or taking on monsters like the fire destroyer or infernal beast, TERA boasts breathtaking visuals. And like many MMORPGs, TERA will tap into the creative power of the players. Every playable character can be completely customized to take advantage of Unreal Engine 3 visuals. Similar to intuitive and deep customization of World of Warcraft, TERA players can select face, hair, voice, clothing, weapons, gear and other options for each race. Additional details like skin color, hair color, tattoos beard, accessories and others are provided through material parameter adjustments. Bluehole Studio was able to make use of Epic Games’ Unreal Development Network. Lew said that the team benefited from the Unreal Engine 3 mailing list and the archived information from Epic and other Unreal developers. While TERA Online was created over the past three years in Seoul, the game was designed for the global MMORPG market from the outset, which was one of the reasons Unreal Engine 3 was used. TERA releases in 2011 in Korea and worldwide in 2012, the latest in a growing list of top-tier MMORPGs that run on UE3 technology.